This old area is dedicated to the most prestigious events hosting a total of 200 people. The place was once the perfect reside for horses. Its interior has a high ceiling supported by thin girders made of wood, an ancient local stone covering the floor, a fireplace and other vintage furniture. 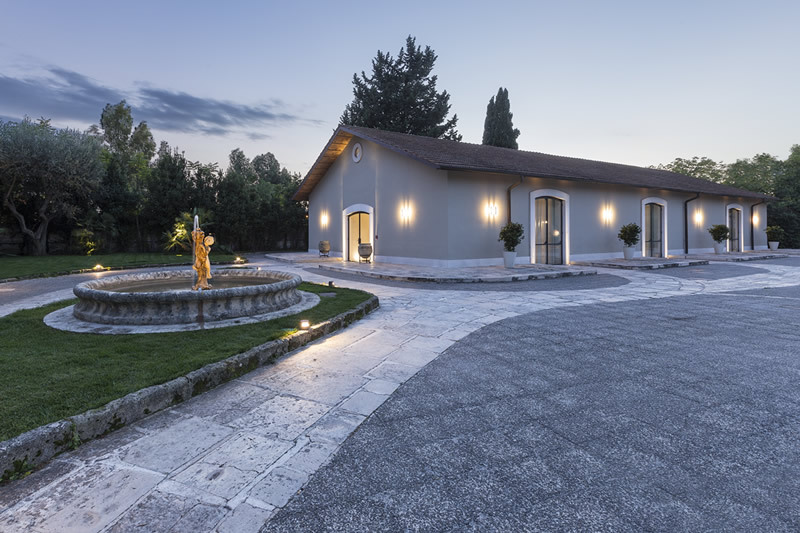 Our beautiful “Piazzetta”, just next to Sala Scuderia, is a 450sm area, which preserves the ancient floor “chianca”, an original dovecote and an old water trough for horses. 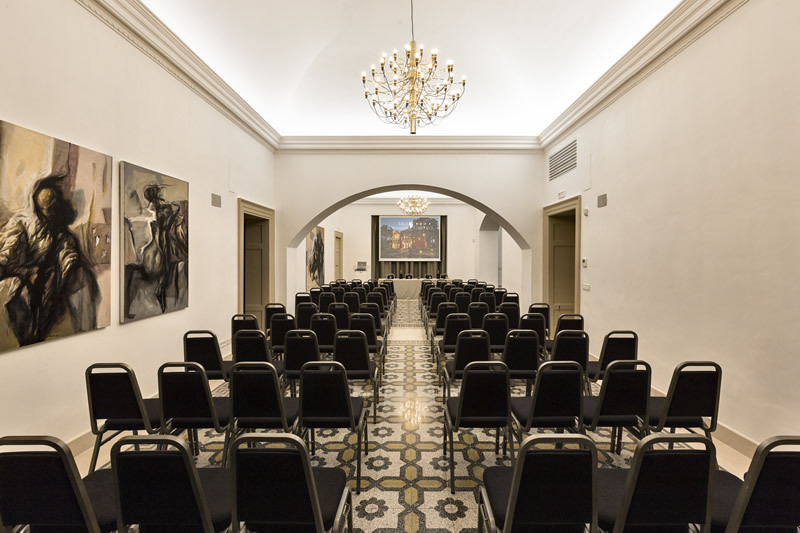 “Federico II” was an animated living room where the marquis Giuseppe Maria Romanazzi Carducci and his family used to welcome the most prestigious hosts. Today the area is conceived for some restricted events grouping 100 people. 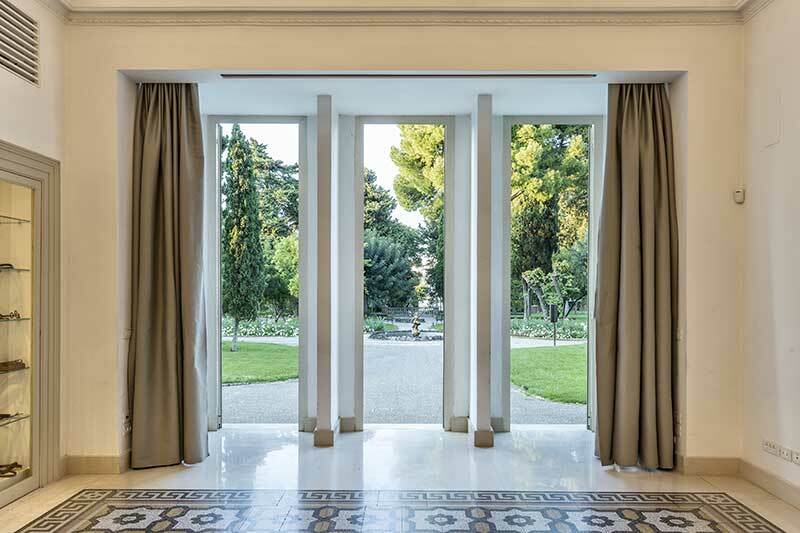 The room, with two entrances from the exterior garden, is located at the ground floor of Villa Rachele. 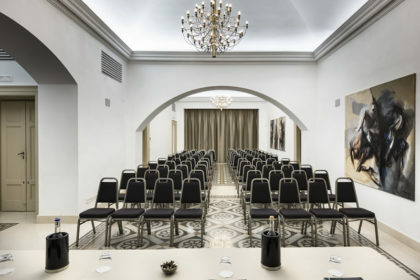 The interior is composed of a high ceiling with barrel vaults, an old fireplace, some vintage furniture exhibited on the showcases and two screens on the opposite sides of the room. The floor is made of cement and perfectly decorated. The area was renovated in 2015. This area used to be the old marquis’ office. 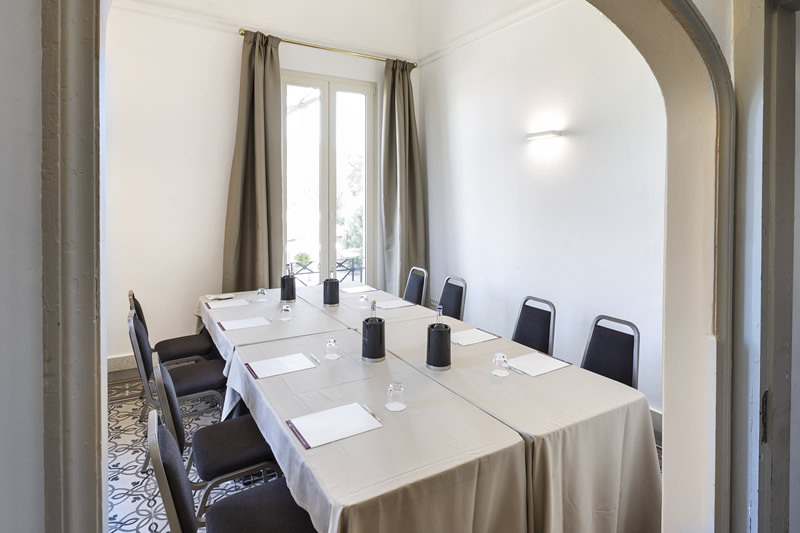 The room is located at the ground floor of Villa Rachele and is now conceived for small meetings grouping a maximum of 32 guests. Its interior is composed of a linear ceiling, a beautiful showcase with some vintage furniture and a decorated floor made of cement. The external area can be appreciated from the two windows placed on the two sides of the room. 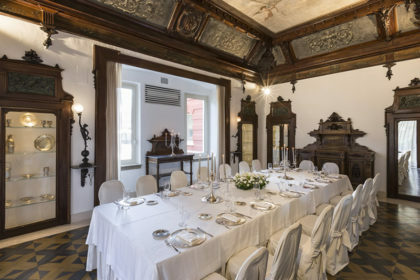 The old living room of Romanazzi Carducci family still maintains some ancient piece of furniture; the old “boiserie” covering the wall and an original painting belonging to Armenise, (whose fresco on the dome of Petruzzelli Theatre is widely appreciated), are coming from the end of ‘800. 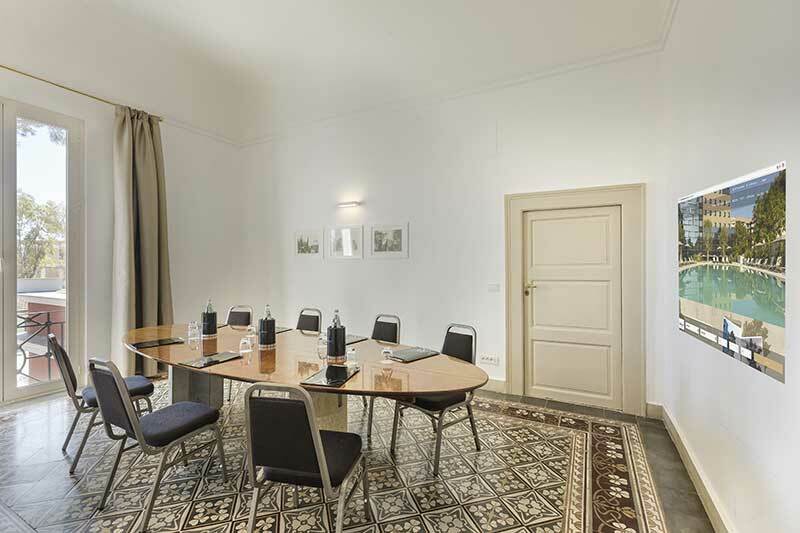 The decorated floor of this room was completely restored in 1902. The guests of “Liberty” can appreciate a stunning interior and exterior view while enjoying an unforgettable meal. The area, located on the basement, used to be the cellar of Villa Rachele. 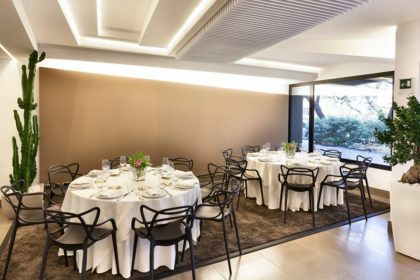 “Taverna” offers now a pleasant atmosphere for a good break, lunch or dinner. 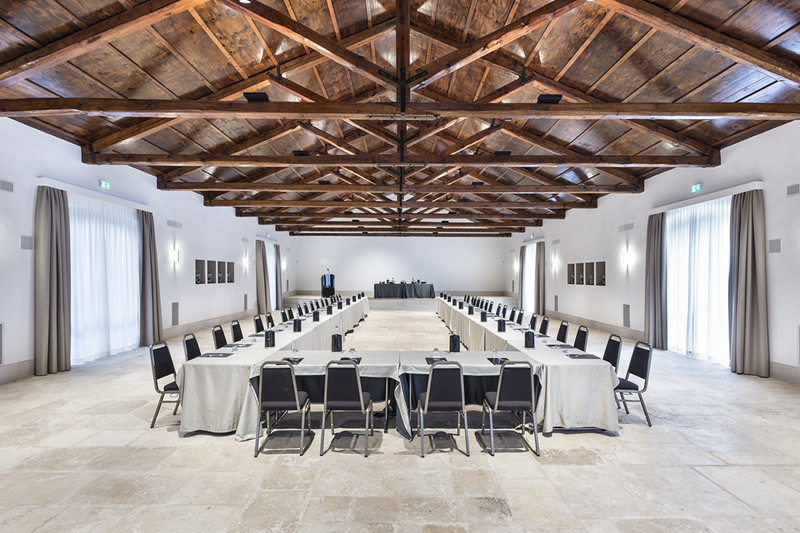 The double barrel vaults, the beautiful ceilings and the light effects coming from the floor are guarantying the hosts a deeply pleasant stay. 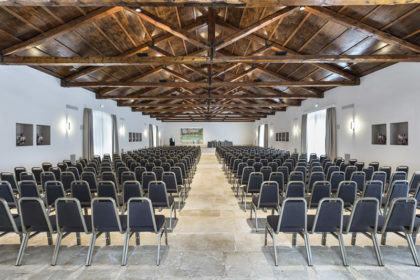 The room is separated into different areas. One of them is offering bar services. This area was the original Music Hall where Giuseppe Maria Romanazzi Carducci used to host prestigious musicians and composers like Giacomo Puccini and Nino Rota. 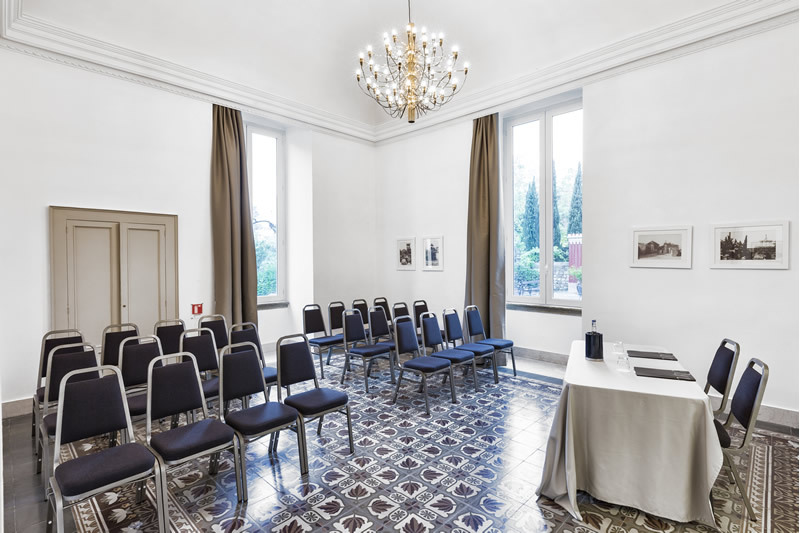 The floor made of ceramic from Vietri and the wonderful fresco created by Armenise are perfectly decorating the whole area. 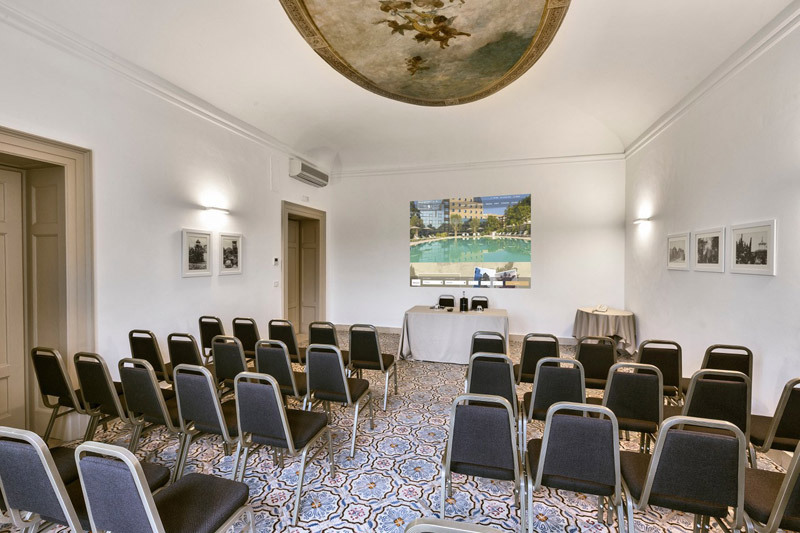 The room is situated on the first floor of Villa Rachele, offering a stunning view on the circle of the garden and on the Europa room. Modigliani used to be one of the ancient bedrooms of Villa Rachele, while it is now conceived for small meetings. 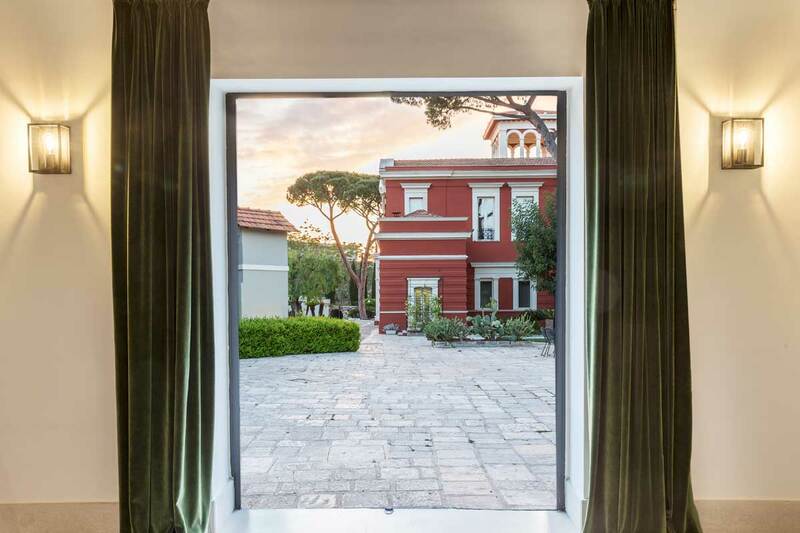 The area is located at the first floor of Villa Rachele, offering a wonderful view on the two sides of the park depending on the window you choose. 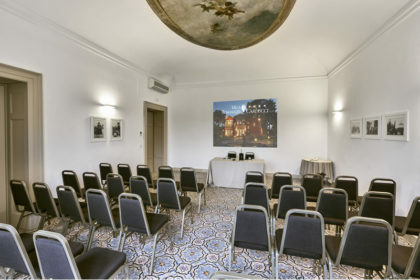 The room is decorated by some handmade ceramics from Vietri and quartzs covering the wall and offering a perfect view of videos without any screen’s need. 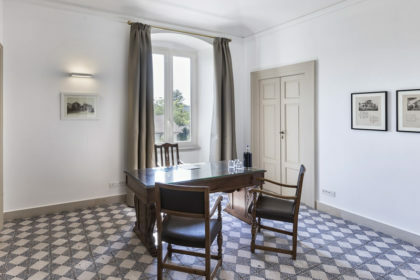 Carducci was originally one of the bedrooms of Villa Rachele. 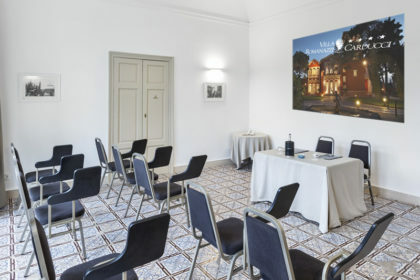 Various meetings grouping 32 people are happening today in this attractive area located on the first floor and offering a stunning view on the garden. 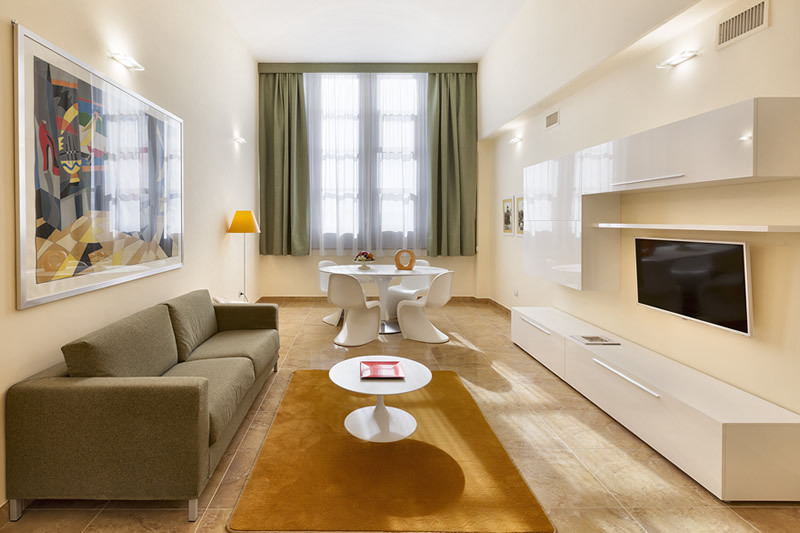 Handmade ceramics from Vietri are covering the floor, while quartzes are decorating the wall and offering a perfect video vision. This area is located on the first floor of Villa Rachele. 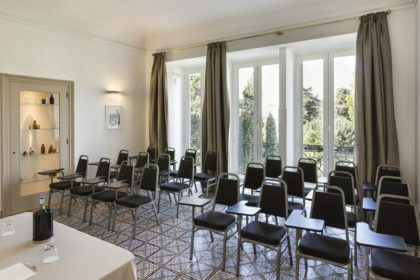 Guests having a meeting in this room can enjoy their stay with a stunning view on the outside and inside of Chanel, thanks to some handmade ceramics and quartz decorations enriching the room..
Marconi used to be one of the bedrooms of Villa Rachele with an amazing view on the “rotonda” of the park and Sala Europa and with ancient ceramic and quartz decorations. A big wood desk is enriching the sumptuous style of the room. 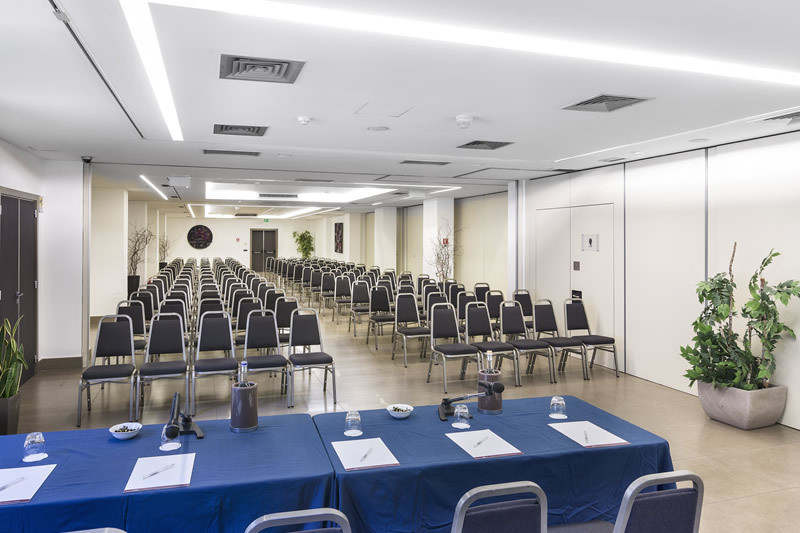 This area is now conceived for small meetings. 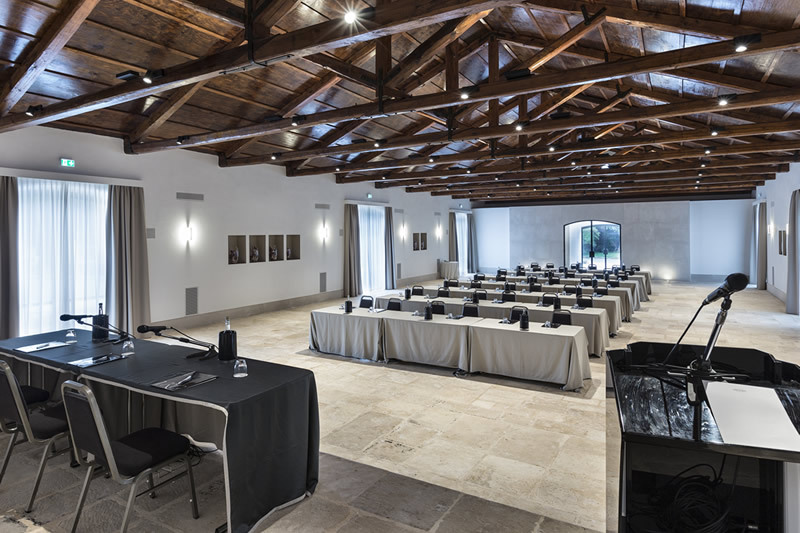 One of the ancient bedrooms of Villa Rachele is hosting today various intimate and small meetings. 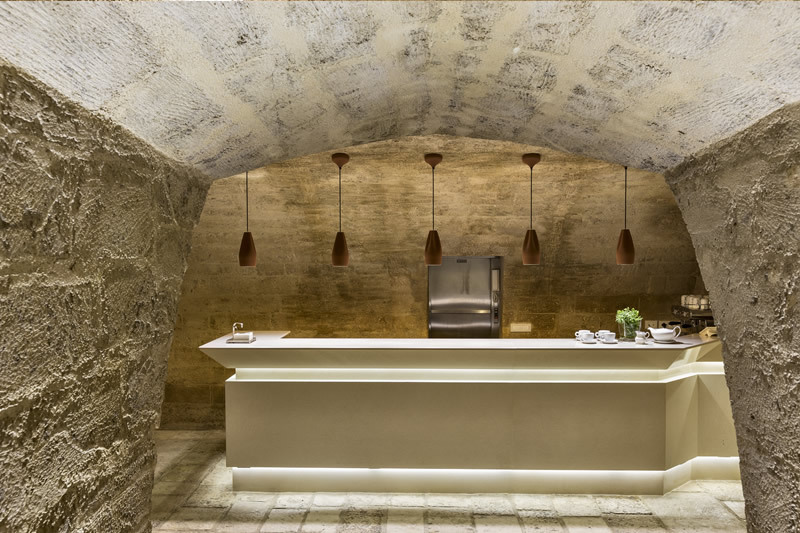 The area is decorated by handmade ceramics on the floor and quartzes covering the wall. 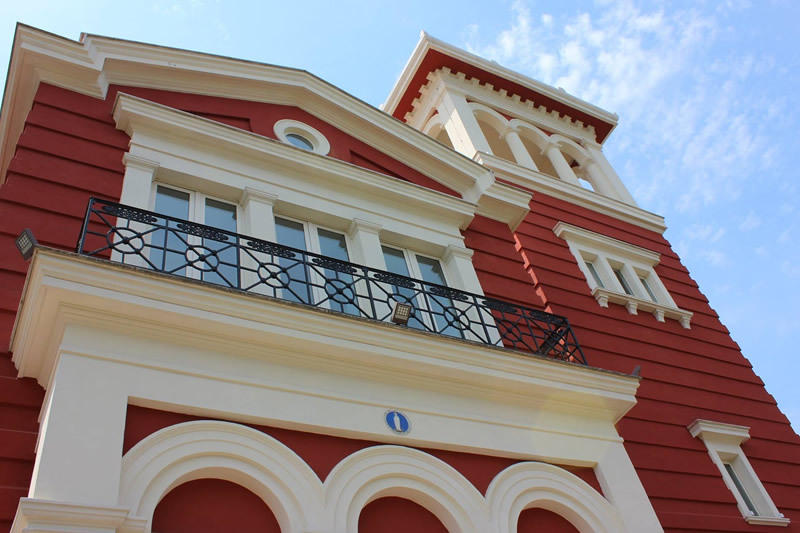 Duse is located on the first floor of the Vila and offering a stunning view on Sala Scuderia and on the square. 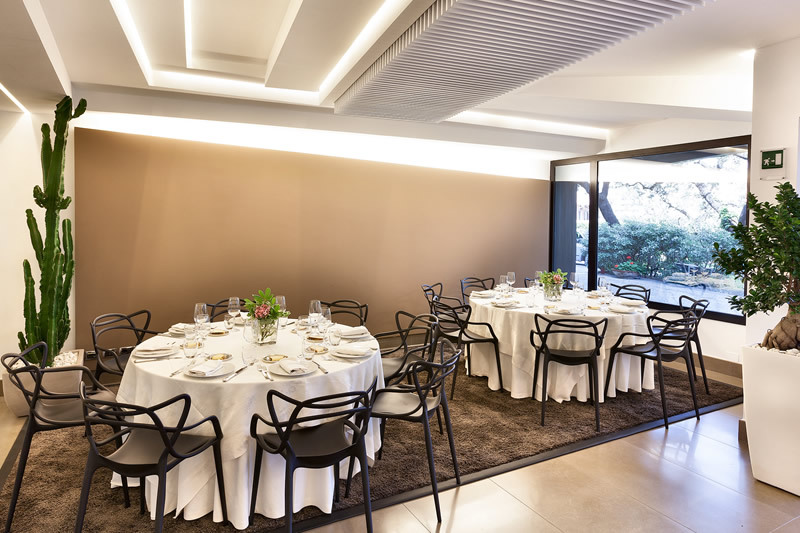 The main room of Carducci restaurant is located at the ground floor of the hotel. The area is characterized by modern furniture and stylistic elements. 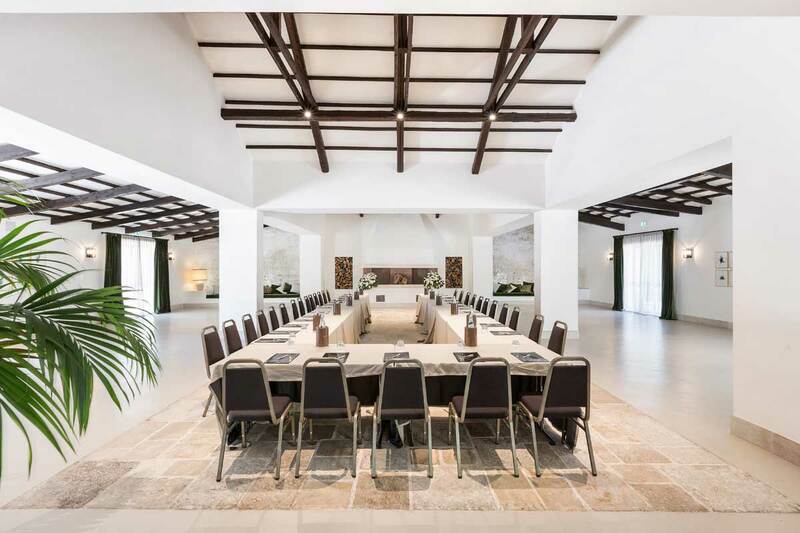 Atena can host business dinner or launch opportunities on a unique table or on a multiple table option, as well as hotel guests at night. 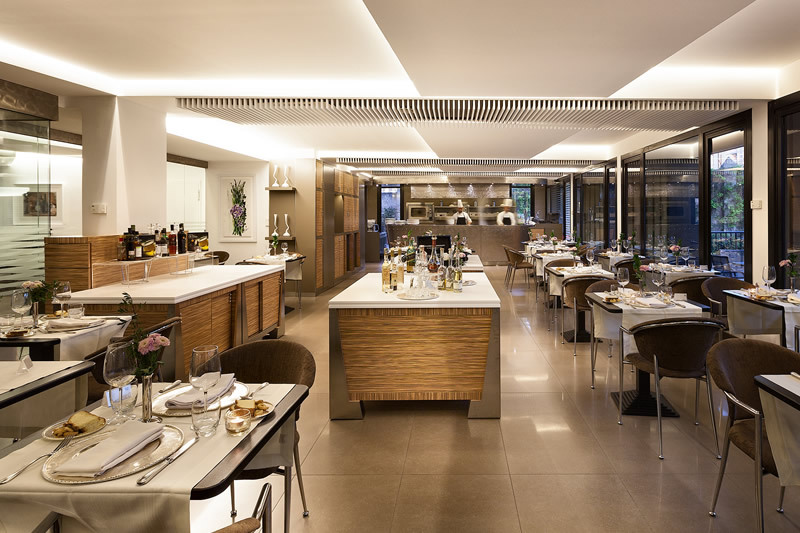 The area can contain 46 guests that can enjoy pleasant culinary performances thanks to an open kitchen. 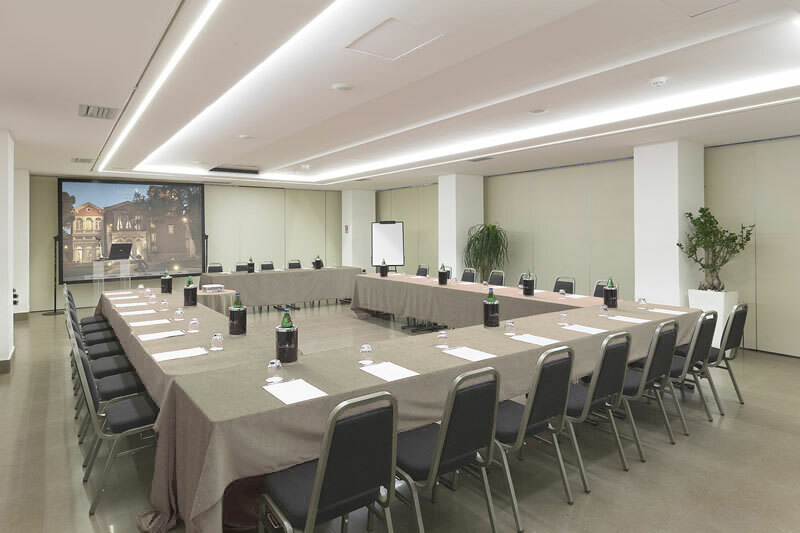 The private room of Ristorante Carducci, located on the first floor of the hotel, is hosting meetings as well as business dinner or lunch opportunities. 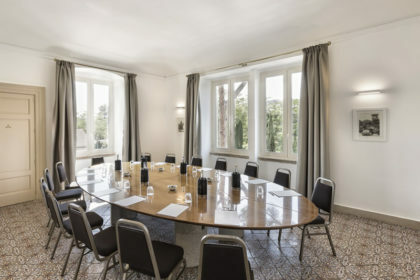 40 people on different round tables or 24 seated on a unique table can be received in this intimate and comfortable room. Privè is characterized by design items and crystal walls giving the area an intimate atmosphere. The marvelous suite of the hotel is the perfect option for intimate meetings on a six people design (modern) table. This 70 square meters room is located on the 6th floor, offering an impressive view on the surrounding area. 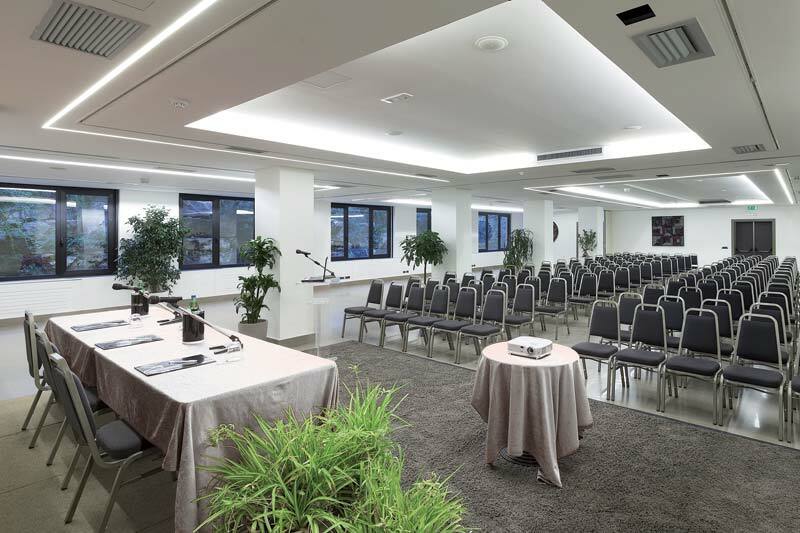 Giulia Conference Centre is the modular and modern structure that composes our convention center. 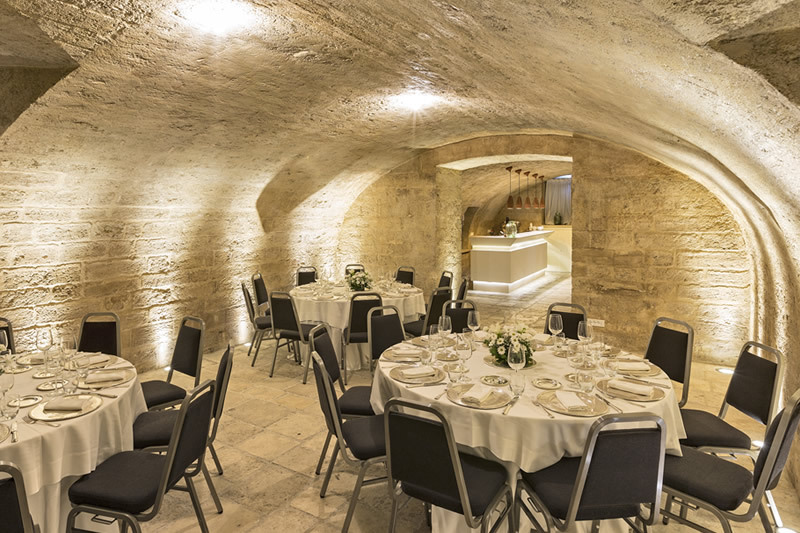 Despite its location in the basement of the hotel, the most part of the area is naturally enlightened. 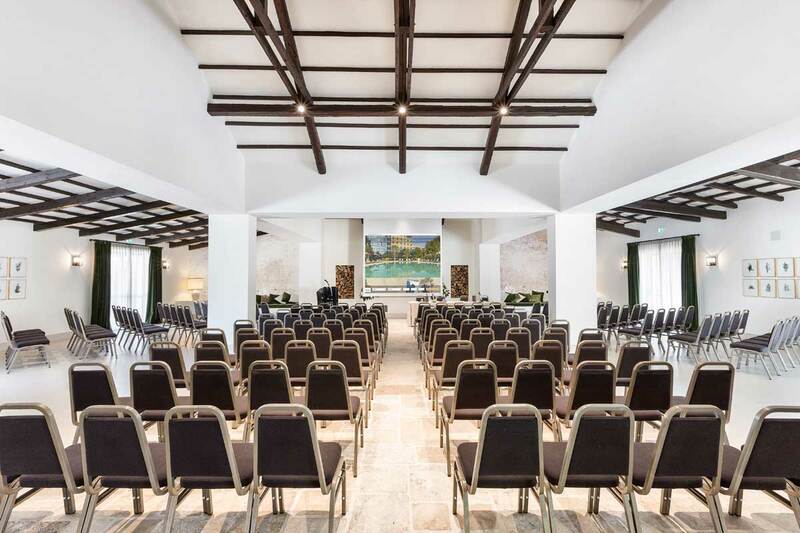 Few of the rooms composing the whole structure are offering a great view on the surrounding hypogeum garden created by architects Zeller and Skoff. 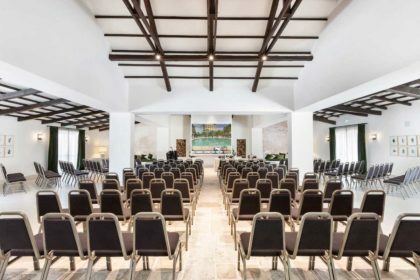 The whole area can be chosen for large conferences with 250 guests, as well as business lunch and dinner grouping 350 guests.